Why is “Assets vs Income” an important issue? Certain assets are either considered something that can be divided, or are considered a source of income to be used in a child support or alimony decision. That determination can drastically affect the outcome of a case. Plus there are many opportunities for advocacy. 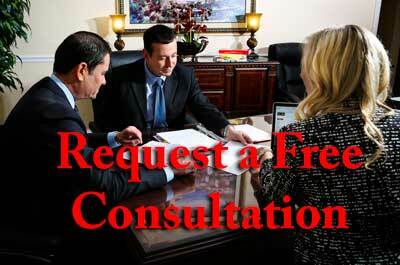 An attorney can argue in the direction that helps or hurts your specific situation. appropriate, deciding whether one spouse owes the other alimony, and making an equitable division of the marital estate all require the court to look at the income, assets, liabilities, and debts of the respective ex-spouses. Get to know us: Howard Iken, Esq. There is a subtle but important distinction between the terms “assets” and “income streams.” Determining whether a certain piece of marital property is an “asset” or an “income stream” will determine how the court treats the property in making the various decisions it must make in a typical Florida divorce. Our experienced legal team can help ensure that income streams and assets are treated fairly and equitably during the divorce. In general, an asset is a piece of property that has a present value that can be determined. Although assets tend to be tangible or material in nature (that is, they tend to be actual “things” that you can see and touch), an asset can also be intangible. In most divorces, common assets include the marital residence; any other real estate owned by the ex-spouses while they were married; vehicles like cars, motorcycles, and recreational vehicles; collectibles and valuable antiques; and other such items. Examples of intangible assets would include the value of a life insurance policy; the values of trademarks, patents, or copyrights; and the value of memberships. Assets considered mostly in connection with the division of the marital estate. By contrast, an “income stream” refers to anything that can produce a regular income for an individual. One of the most easily recognizable “income streams” is a person’s pension or retirement account that pays a certain benefit to the owner. Other examples of “income streams” would include the income from a home business and income from rental properties. Income streams are mostly considered when the court determines what child support amount is appropriate and whether alimony should be awarded to one spouse. How Are “Assets” Treated in a Divorce? Florida is an equitable division state, which means that those assets that are identified as part of the marital estate are divided in an equitable manner by the court in a divorce. This does not mean that the division is “50/50,” but rather that a court will try to treat each ex-spouse in a fair and equitable manner. Where one ex-spouse wants to retain an asset of a particular value, for instance, the court will attempt to award the other ex-spouse an asset of a similar value or significance. In dividing assets, courts generally consider what the “fair market value” of that particular asset was on the date the divorce petition was filed. In other words, the value of an asset is usually determined as of the date of the filing of the petition and is what price an objective and independent buyer would likely pay for that asset on the open market. For instance, suppose that William and Marla are divorcing. During the marriage, William and Marla had two cars of unequal value: a $65,000 antique car that William restored and a $20,000 sedan that the family used for everyday purposes. Because the antique car likely has special significance to William, he will likely be successful in asking the court to award him the antique car in the final property division. This would likely result in Marla being awarded the $20,000 sedan. Because of the great deal of difference between the value of the antique car and the value of the sedan, however, a court may end up awarding Marla additional assets. How Are “Income Streams” Treated in a Divorce? Because it represents a continuing, ongoing source of income, it is sometimes difficult to “divide” an income stream. For instance, suppose that a husband has stocks which pay a regular dividend. The precise value of the dividend varies from year to year. A court that looks at the value of the stock as of the day of divorce and divides this value between the parties does a disservice to one of the ex-spouses. To consider how this situation may cause one spouse to be disadvantaged, suppose instead of an antique car that William had a rental property producing $10,000.00 in rental income each year. The building itself is worth $100,000.00 on the date of the divorce. Furthermore, suppose that both William and Marla are 40 years old. If a court simply divides the value of the asset, both William and Marla would receive $50,000.00 worth of assets. But Marla would be put at a distinct disadvantage because while she only receives $50,000.00 from the building, William not only has the $50,000.00 worth of assets but also $10,000.00 per year of income for several decades to come. If both William and Marla live to be 70 years old, William will have realized an additional $300,000.00 in income (30 years x $10,000.00) in income each year. For this reason, courts will tend to divide income streams based on a percentage. In other words, a court may require William to pay Marla 40% of the income from the rental property for a certain period of years. This would more closely approximate the sort of lifestyle Marla could have expected to enjoy had the two of them remained married. Determining whether something should be considered an asset or an income stream is not always an easy determination. There are some items that share characteristics of both assets and income streams. For instance, consider a couple that purchased and then refurbished a multi-story building during the course of their marriage. Real estate and buildings are usually classic examples of “assets.” But suppose the building was renovated to create apartments that are rented out. During the marriage, the couple did rent out the apartments and regularly received certain rental income. Because of this, the building has some of the main characteristics of an income stream. Business interests can also be considered both assets and income streams. How should the building be classified? “Double-dipping” refers to a court characterizing the same thing as both an asset that is subject to equitable division and an income stream in supporting an alimony award. Double-dipping has traditionally been an issue with pensions and business interests. The problem arises, for example, when a court divides the present value of the pension between parties as part of its division of the marital estate and then considers the income stream the pension provides for the spouse and orders that alimony be based on that income stream. The issues of double-dipping and whether courts should permit it are issues that courts across the country are struggling with. On one side of the argument, opponents of double-dipping state that the practice allows the non-paying spouse to benefit twice from the same asset. On the other side of the argument, proponents of double-dipping state that an equitable distribution of the marital estate and evaluating the appropriateness of alimony are two separate tasks. The court should not ignore all the relevant information available to it when it performs each task. Although historically Florida courts appeared reluctant to permit double-dipping, recent court cases have reversed this trend and approve of a court considering all relevant information when making an alimony determination. In a Florida case from the 1980s, Florida courts appeared to state that double-dipping was prohibited. This led to a series of cases in which Florida courts ruled that pension benefits could not be divided as part of the equitable division of marital property and then considered again if one spouse should be awarded alimony. When it was discovered that this holding was due to a misprint in the initial case from the 1980s, the courts changed their holding. In recent years, Florida courts have held that judges presiding over divorces are to consider the marital assets of the parties, including the values of pensions, retirement plans, business interests, and the like. Then, the judge is to consider all relevant evidence and circumstances in determining whether an award of alimony is appropriate. In making this second determination, courts can consider the income streams of the parties, even if the income stream comes from an asset that was part of the equitable distribution made earlier. How Can Ayo and Iken Help? Hiring an experienced family law attorney can help ensure that a party to a divorce is not taken advantage of during the property division and alimony decision process. Dishonest spouses may attempt to hide assets and income streams in an effort to obtain more assets during the division or convince a court that an alimony award is not warranted. Competent legal counsel is necessary to ensure that not only are the other spouse’s assets and income streams discovered and brought to the court’s attention, but that the court takes account of assets, income streams, and those items that bear characteristics of both when dividing the marital estate and setting alimony. A court presiding over a Florida divorce has a number of decisions to make. 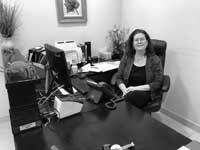 Of particular significance is making an “equitable” division of the marital estate. A court must also determine what amount of child support to order (if the divorcing couple has any children in common) and whether an award of alimony is appropriate. Each of these decisions can require the court to consider a vast amount of information relating to the parties’ assets, liabilities, income streams, and debts. An asset generally refers to a piece of property that has a present value that can be determined. Examples of assets that are typically present in Florida divorces include the marital home, other homes or properties the couple may have acquired, collectibles, tools, clothing, and vehicles. An “income stream” refers to anything that produces regular monetary income for the owner. This would include retirement plans, pensions, stocks, and business interests. While assets are generally considered when the court is dividing the marital estate, income streams are usually relevant to determining the amount of child support the paying spouse should pay as well as whether alimony is appropriate. Unfortunately, sometimes a particular item is not easily distinguishable as either an asset or an income stream. Instead, the item bears characteristics of both in that, while it can be assigned a present value, it produces a stream of income for the owner. The classic example is a pension because, while it is capable of having a value assigned to it and then having that value divided between the spouses, it is also designed to provide a steady income for the owner. Whereas assets are typically assigned a value and divided equitably between the parties, one party typically is awarded a percentage of an income stream. Because of the dual nature of some items of the marital estate – that is, because some items of marital property have characteristics of both assets and income streams – an issue sometimes referred to as “double-dipping” has troubled some courts. The practice of “double-dipping” refers to treating the same item as both an asset, subject to equitable division, and as an income stream. “Double-dipping” is frequently an issue when courts deal with pensions and business interests. While some state courts are still wrestling with the issue of double-dipping, Florida courts have held for a period of years that it is proper to consider an item that shares characteristics of an asset and income stream for purposes of both division of property and alimony. In other words, the present value of something like a pension would be divided between the spouses as part of the equitable division of property and the income stream coming from that pension would be considered in determining whether alimony is appropriate. Individuals who find themselves in the midst of a divorce should consult with an experienced Ayo and Iken family law attorney to ensure that their ex-spouse’s assets and income streams are properly identified and handled appropriately by the court.